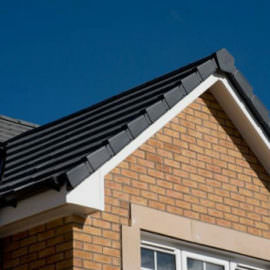 We offer a wide range of maintenance-free, weather-resistant, hassle-free, uPVC fascia boards, guttering, and soffits, in a range of styles and designs to suit your particular home and your personal design taste. Replacing your roofline materials is not just a matter of style: maintaining your existing woodwork can be costly and very time-consuming. 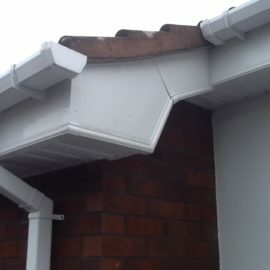 It’s hard work maintaining soffits, fascias, and gutters but the fact of the matter is, if these are not maintained on a regular basis, it not only leaves your property looking worse for the wear, it can lead to structural damage in your home. Save yourself valuable time and money by replacing your old roofline materials with new weather-resistant, maintenance free PVCu roofline and cladding. Once your products are installed you will never again have to spend your valuable free-time painting, scraping, and fixing up roofline materials that are going to eat into your time and money, the older they get. Your roof is the most important part of your home and without proper protection from leaking gutters, rotten felt, timber and wall cladding, your dream home can turn into a nightmare. Think about it: your roof keeps your home safe and dry from all weather conditions so it’s extremely important that rot is not given the opportunity to set in. And this is the main problem with traditional timber Fascia, Soffits and Cladding: even with regular painting they will rot over time, if not properly maintained very regularly. 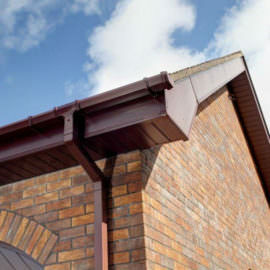 Our roofline products are designed to stand the test of time which is why they come with a 10 year guarantee (subject to T&Cs), they will give you perfect protection from the elements that you’ll never need to repaint or repair. 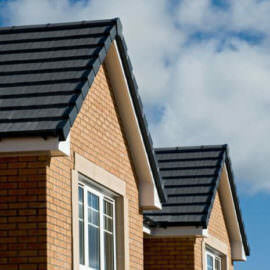 In addition, our dry verge gable end caps can complete the look and protect your home against all weather conditions. The roofline is your home’s first line of defence against its biggest enemies—water, wind and pests. A structurally sound, well-sealed and properly ventilated roof will protect your building, loved ones and belongings for years. 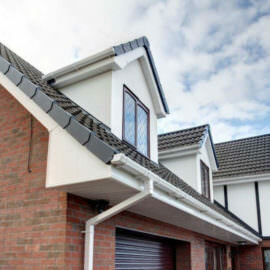 We advise Belfast homeowners to take a top-down approach to safeguard their homes. 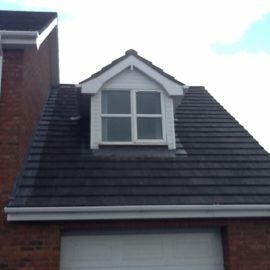 With regular roof inspections and maintenance, you can be vigilant about issues that develop. This will help avoid costly repairs and untimely roof replacement expenses. Leaking gutters, rotten boards and broken cladding can damage the building structure as well as your beautiful interiors. 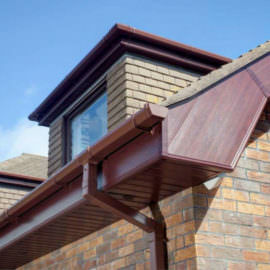 Maintaining all the components of your roofline might seem like hard work. However, using new, water-resistant products and paying timely attention to issues can save you a significant amount of money, effort and stress. 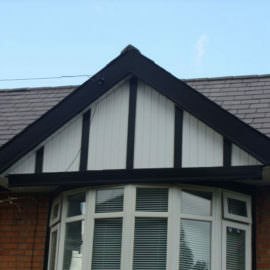 Located just at the point where the roof meets the outer walls of your house, these boards support roof guttering as well as the bottom row of tiles. Torrential downpours and water back ups put tremendous pressure on your home’s fascia. To prevent water from entering the attic and close off access to birds, insects and other pests, you need to ensure it is in good condition. 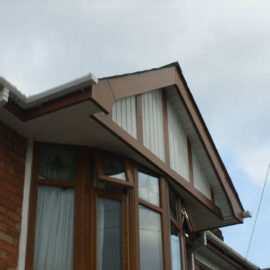 If your boards need replacement, uPVC fascias are a smart choice. In addition to an attractive look, they are also cheaper, low-maintenance and last longer. 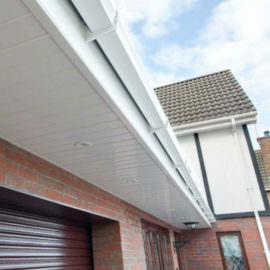 Serving both functional and aesthetic purposes, the soffit board is tucked away under the fascia. It covers your eaves to protect your rafters and helps your building breathe. 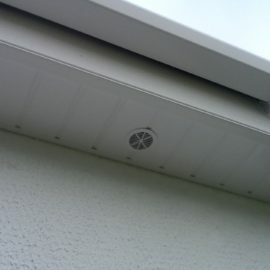 A vented soffit ensures proper air flow in the attic, preventing decay in the roof joists. Replacing rotten timber ones with maintenance-free uPVC products reduces your upkeep efforts and cost. By channelling water away from your home, gutters protect the siding, windows, doors and foundation from damage. They also help to reduce ice accumulation. When clogged or broken, they can cause a multitude of issues. Water is likely to run underneath the shingles and down the siding leading to roof, building and foundation damage. Do you need to replace roof gutters? 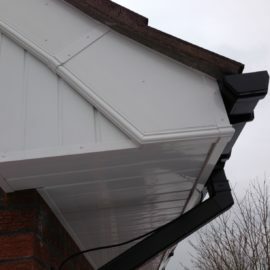 uPVC guttering is low cost and easy to install. Higher-priced wood and cast-iron options are also available. We are happy to explain the pros and cons of each type during your consultation. This provides insulation, protection from the elements and gives your home an attractive appearance. Most importantly, by investing in roof cladding, you can reduce roofline maintenance and repair costs. PVCu cladding is pocket-friendly and available in a variety of styles, colours and finishes to meet your needs.